Elena moved to New York City to pursue a career in acting after graduating from the University of Lynchburg with a degree in Theatre, Westover Honors Distinction and a TON of Nursing and Exercise Physiology credits. Once in the city, she attended the American Theatre Wing's Springboard NYC program, then began working as a personal trainer while enrolled in the 2-Year Full-Time Meisner Training Program at the William Esper Studio. 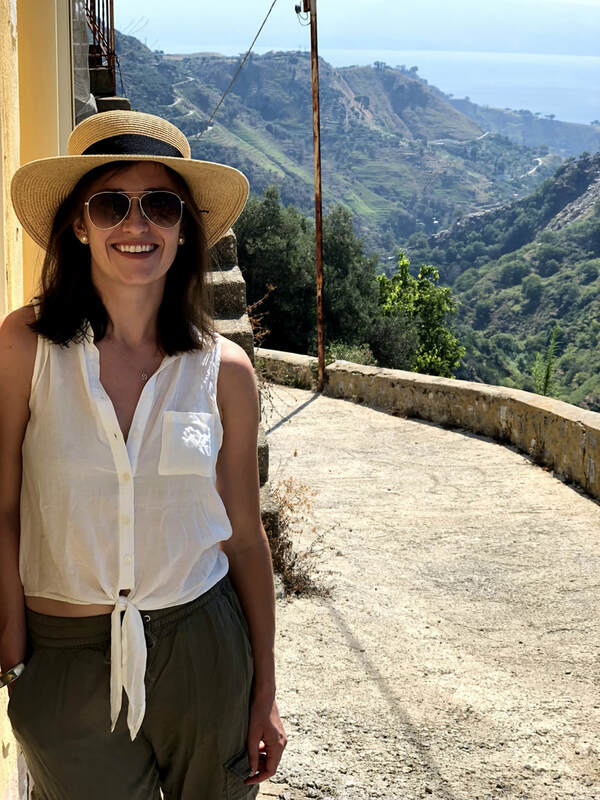 Since graduating, she’s had the pleasure of participating in theatre across the globe; from BADA’s Midsummer at Oxford, to the Cherry Lane Theatre in NYC, to an airplane hangar in Virginia, to a mountain town in the Messina province of Sicily. When not exploring the world, she can be found with her family, seventy goats, seven dogs, multiple cats, and beautiful wide fields through which to run.